Now that you’ve assessed the safety culture of your organization, performed a risk assessment, and obtained the support of your leadership team, you’re ready to develop and implement a Safe Handling Policy. And the reasons why are obvious. 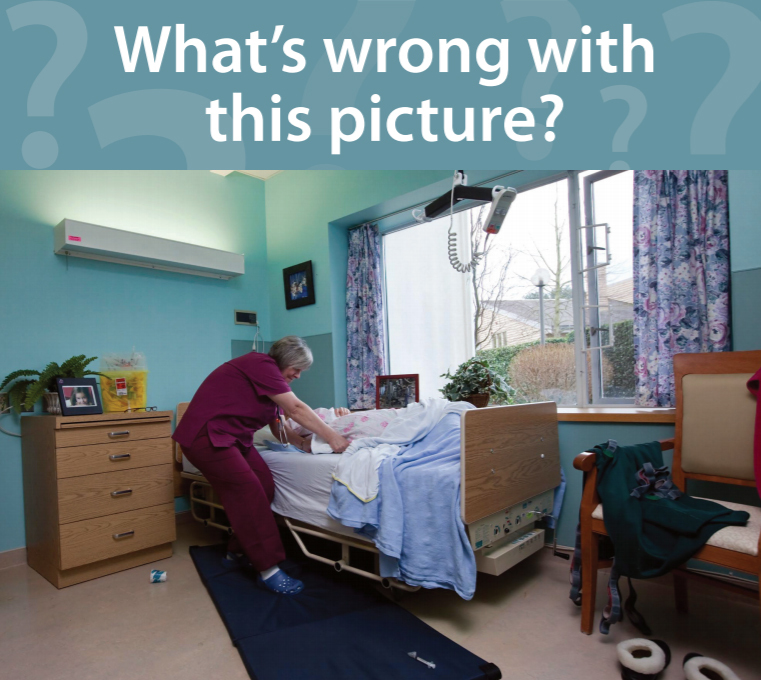 Studies have clearly demonstrated that injury rates among care workers can be significantly reduced by increasing the use of mechanical lifts and restricting manual client handling by care workers. The successful implementation of a safe handling policy requires a varied approach that is unique to each organization. However, there are some key principles that should be incorporated into any approach to ensure its effectiveness, including: accessible and adequate handling equipment and a maintenance system for equipment. As such, this is the step of the toolkit that encourages you to review your equipment to ensure that it is meeting the necessary requirements. Here we have two resources that will help you get started. 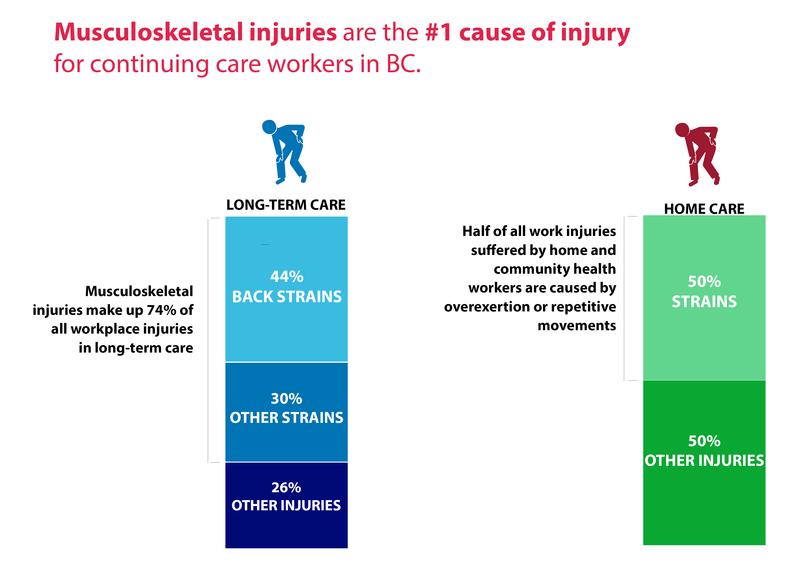 These resources were developed by SafeCare BC’s Technical Advisory Committee, which is comprised of union, WorkSafeBC, and employer representatives. 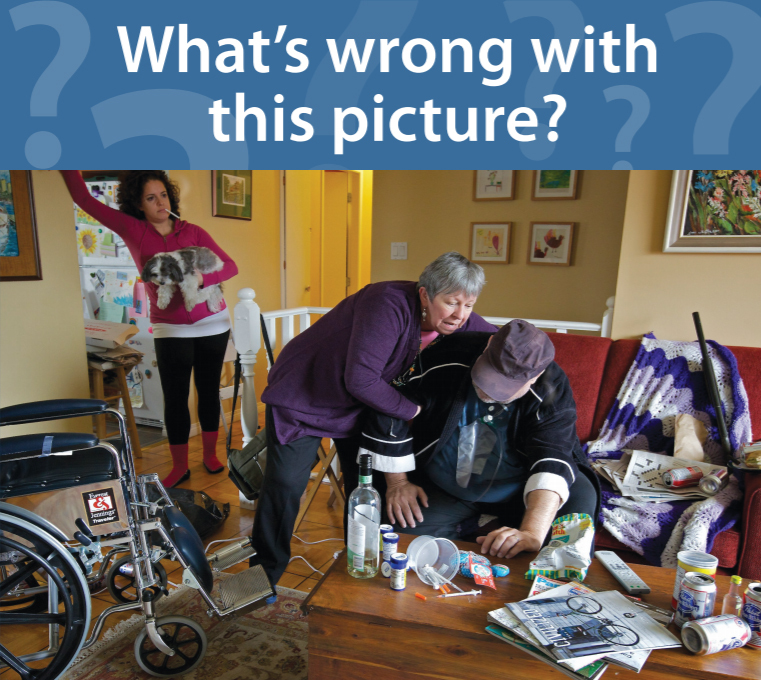 Print off these staged images, and have some fun with your team trying to identify the hazards.